EUR is getting power due to the positive Economic Sentiment report in Germany and at the same time, USD is being supported regarding the hope for the Fed rate-hike. 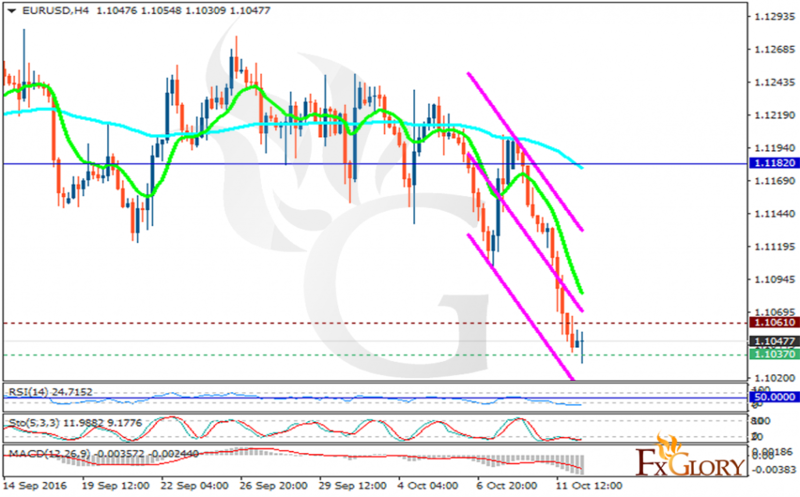 The support rests at 1.10370 with resistance at 1.10610 which both lines are below the weekly pivot point at 1.11820. The EMA of 10 is moving with bearish bias and it is located below the EMA of 100. The RSI is moving below the 50 area and has reached the oversold area, the Stochastic is moving horizontally in its minimum rates and the MACD indicator is in negative territory. The pair is creating its recovery pattern targeting 1.1130.